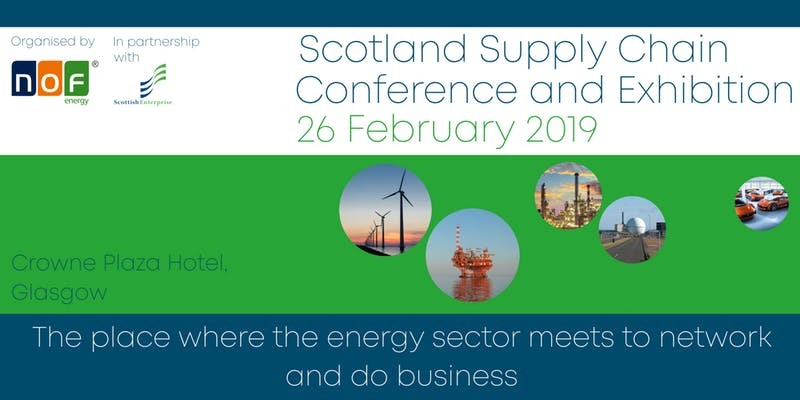 Arc Energy Resources will be exhibiting at the Scotland Supply Chain Conference & Exhibition 2019 on February 26th. The exhibition, organised by the NOF, will take place at the Crowne Plaza in Glasgow, between 8:00 and 16:00. 40 exhibitors will joined by over 300 delegates, providing the chance to hear from some of the industries key players, and access a wide range of new business opportunities. The main themes of the conference are: UK Energy Industry Updates, Diversification, Nuclear, Offshore Wind and Oil & Gas. To book a meeting with a Arc Energy representative at the event, please contact Cliff Hall (cliff.hall@arcenergy.co.uk). For further information on the exhibition, please visit: https://www.eventbrite.co.uk/e/scotland-supply-chain-conference-2019-tickets-51758086831.